DJ Xris SMack! once again at the Endless Night Vampire ball in tamps! 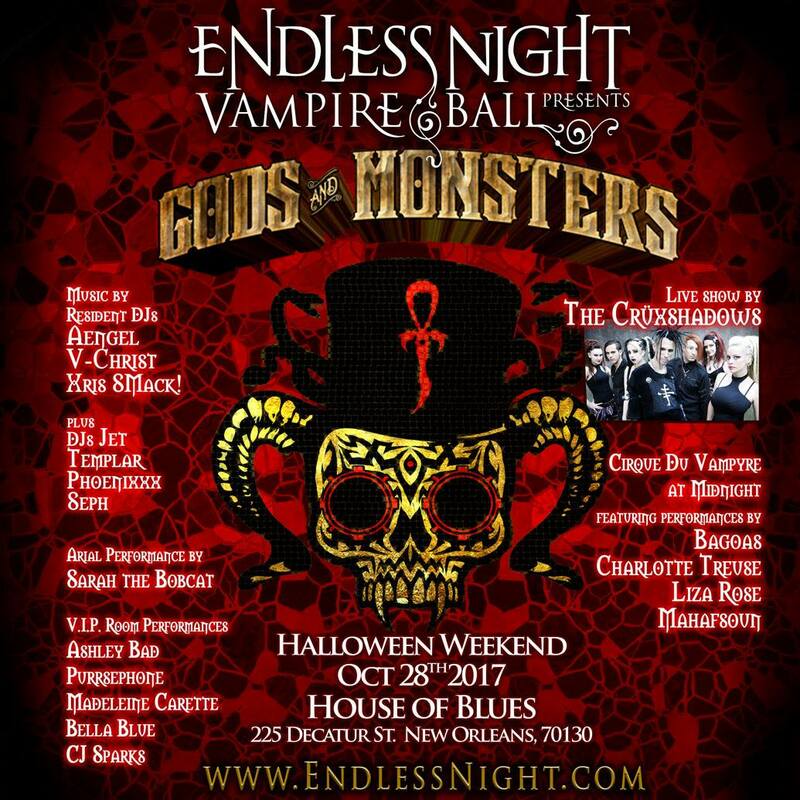 Join us for the Endless Night: New Orleans Vampire Ball 2017 "Gods & Monsters". 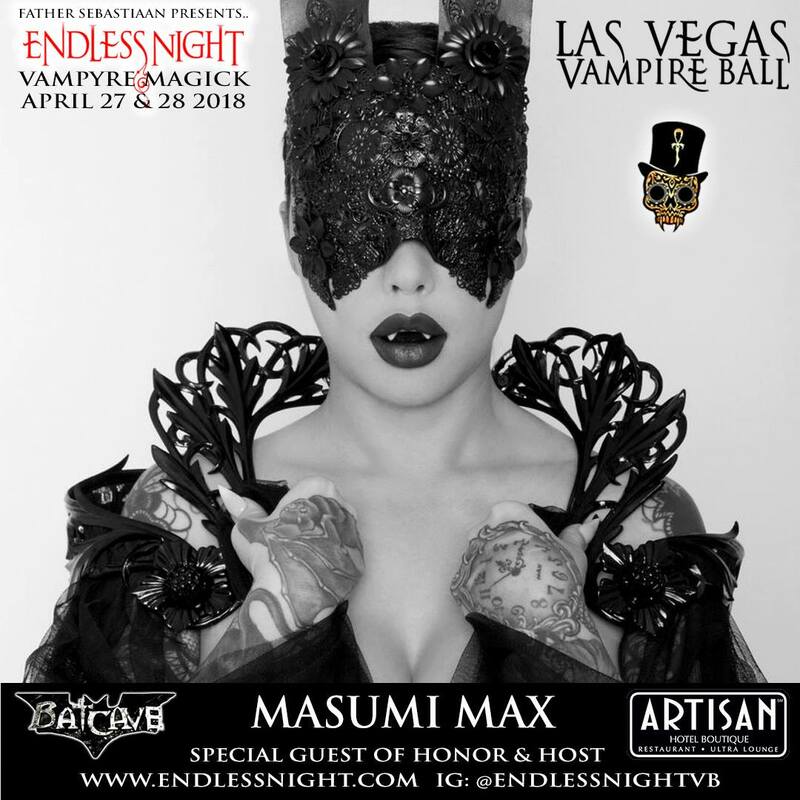 Endless Night is the world's most famous Vampire Ball. Performers and more details forthcoming. Endless Night Resident DJ's Aengel, V Christ & Xris SMack! Check out Bar Mon Cher as our official after party spot. New York City - Halloween! Resident DJ's Aengel, V-Christ and Xris SMack! 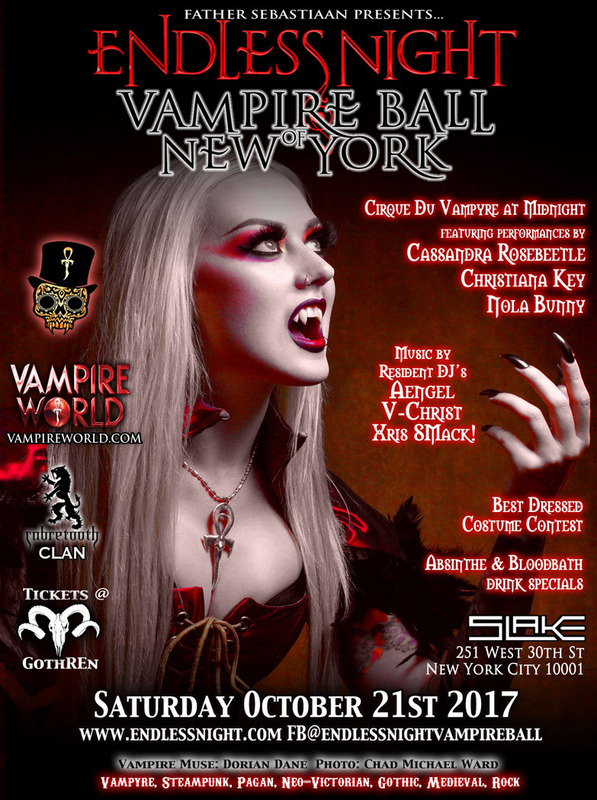 the ultimate gathering of the Vampire World in Florida... with guests from all over the world. 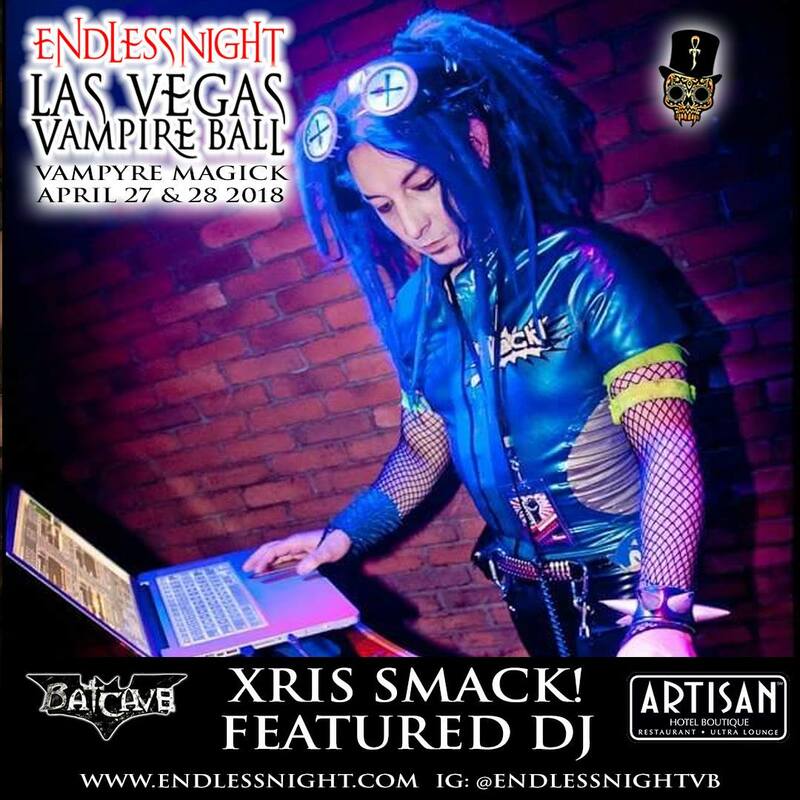 with your Endless Night Resident DJ's V Christ, Aengel and Xris SMack! - Anti-Valentine's Edition - Feb 14th, 2016! 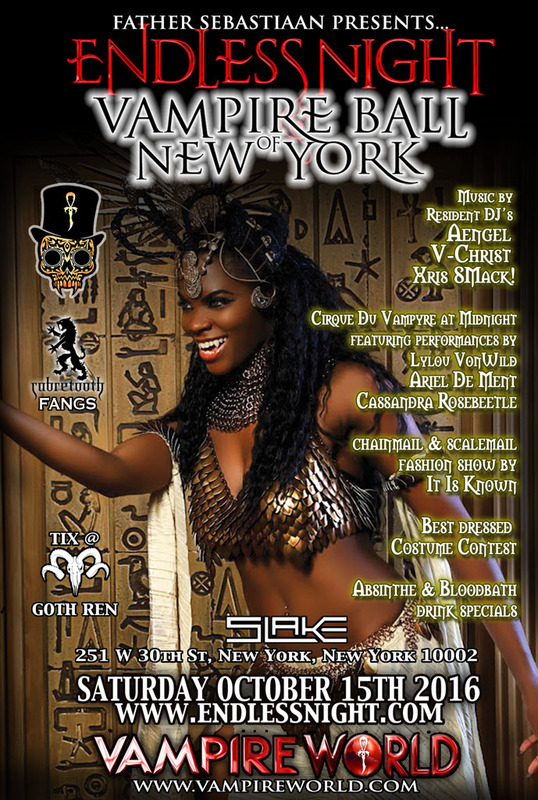 CELEBRATING a gathering of the spirit, mystery, magick, romance, sensuality and immortality of the vampire mythos and culture. Resident DJs Aengel, V-Christ + Xris SMack! plus guests DJ's Templar + Jeffo! 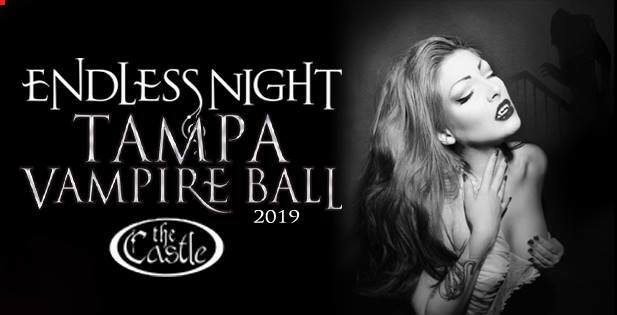 Performances by Cassandra Rosebeetle, Djahari Clark, Ariel De Ment and Karen W.
BEST DRESSED CONTEST with over $1000 in prizes in tickets to the Endless Night "Cirque du Vampyre" NEW ORLEANS Vampire Ball. http://fathersebastiaan.com/Fangs. Book quickly as there are limited slots. SUBSCRIBE to our new YouTube Channel Vampire World!